Please click on the button below to meet the staff. If you have any questions please try our Frequently Asked Questions Page by clicking on the little blue man at the bottom of any page. If you can't find the answer there please don't hesitate to call us or use the contact form on the contact page. 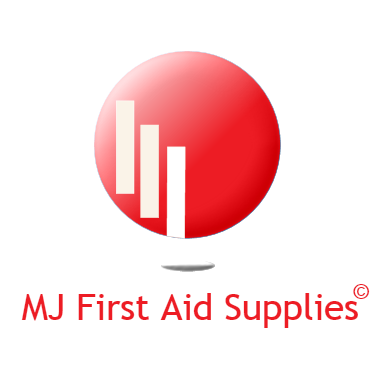 We have been providing quality First Aid and CPR training in the West Midlands since 1998 through our sister company MJ First Aid Training and have offered a limited supply of First Aid and Medical Supplies through our training website. This website has been dedicated to bringing you nothing but good quality and affordable first aid and Medical Supplies all compliant with EU and BSI standards. We are a family run business so we can promise you prompt after sales care and a solution to your purchasing requirements whether it's a box of plasters to completely stocking a first aid room in the work place. No order is too small or too big and we are always at the end of the phone to discuss your specific requirements with you. We only use suppliers that take proactive approach to innovation so you can rest assured the products you receive are the best in the industry. As a small family run business we don't have to sit on millions of pounds worth of stock and all our business is done online so we have no need for retail premises which in turn keeps the cost down for our customers. We only use a select group of suppliers whose delivery schedule is second to none which is why we can give the best prices and delivery schedules and they are committed to providing us and ultimately you, with the best quality products at reasonable prices. Do you run a business large or small? We can do an on-site consultancy to advise you of your training needs and on-site first aid provision obligation as well as simple on-site installation of first aid equipment to fitting out your first aid room from scratch with all the equipment you need, contact us for details or click on the button below.